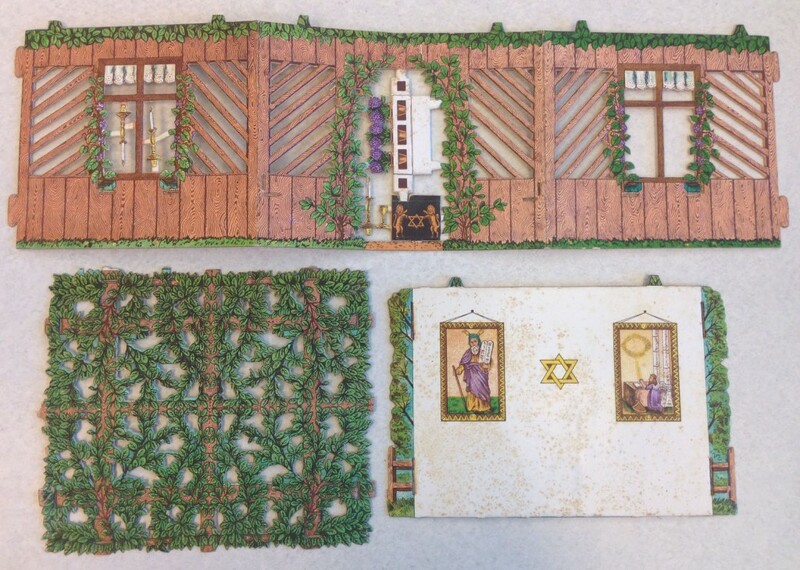 One of the few truly interactive items held in the William A. Rosenthall Judaica Collection is this Sukkah kit, produced by Kunstgewerbestube Jenny Westheim, at Schwanenstraße 6, Frankfurt am Main, Germany. The kit originally came as five large pieces, shown below, including the three exterior walls as one piece, fourth exterior wall (decorated as an interior wall), and roof as the three largest pieces. 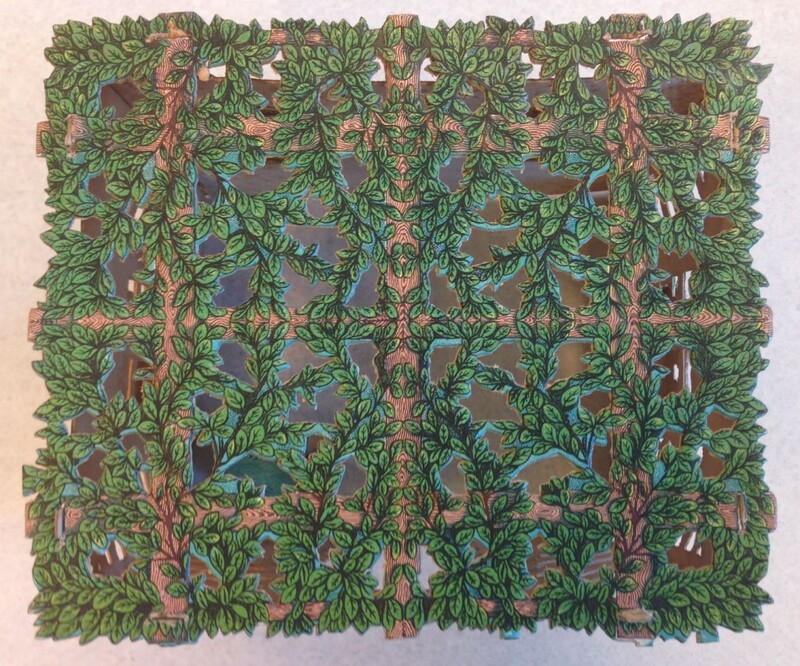 The smaller piece, above left, is comprised of pieces to be separated and then assembled into a table, benches, and a basket of challah and vase of flowers to go on the table. 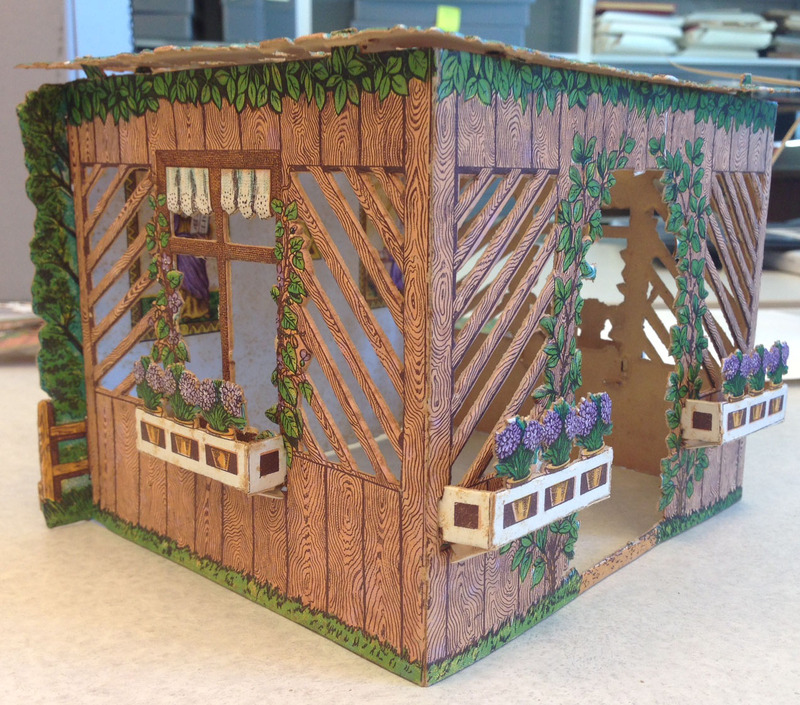 The second smaller piece, below left, contains three flower boxes for the windows and support structures for the table and stools. The exterior wall is also embedded with smaller items, including candlesticks, to be removed and placed on the assembled table. Sukkah kit waiting to be assembled. 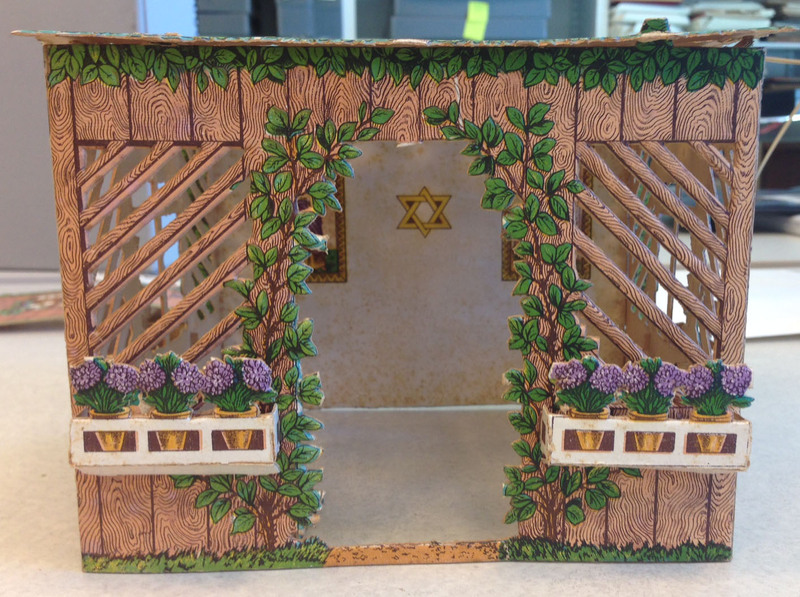 Sukkah kit walls and roof. 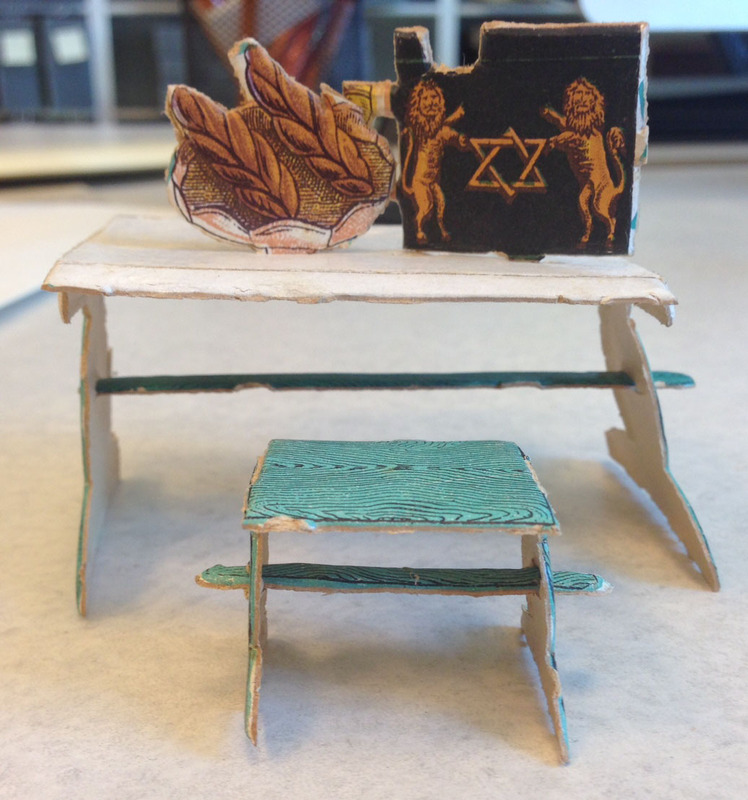 In addition to this Sukkah above, which was never used, the Rosenthall Collection holds a second, identical Sukkah that had been previously assembled. 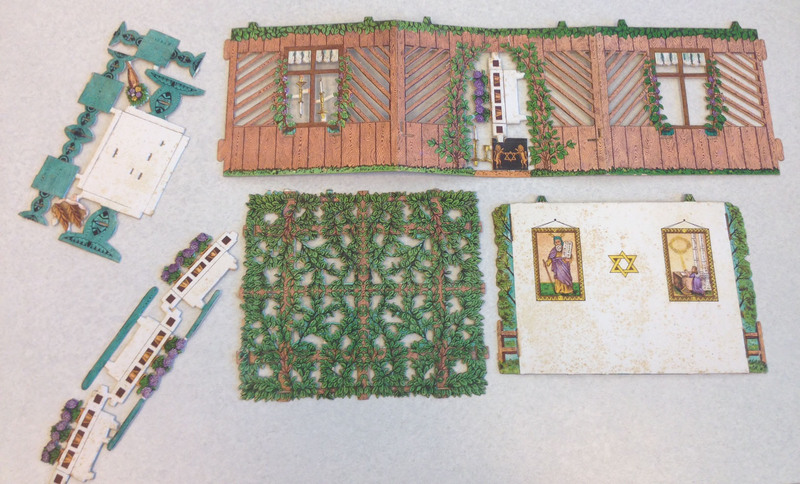 We used pieces from this second, previously used Sukkah, to assemble the kit. 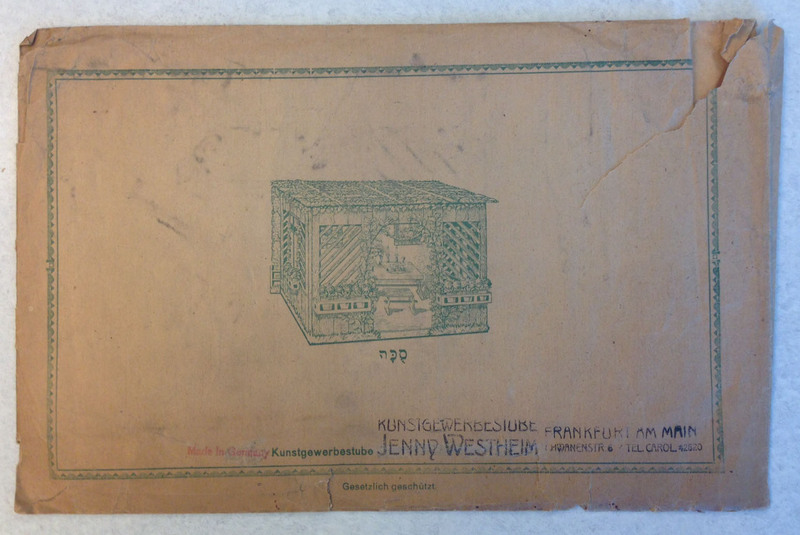 This envelope, in which the pieces came, shows what the Sukkah will look like upon assembly.